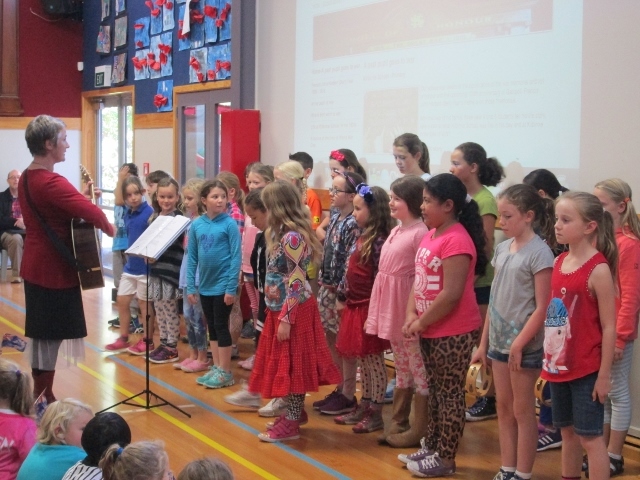 The School Choir sang a poignant song about 2 mates on the front line. 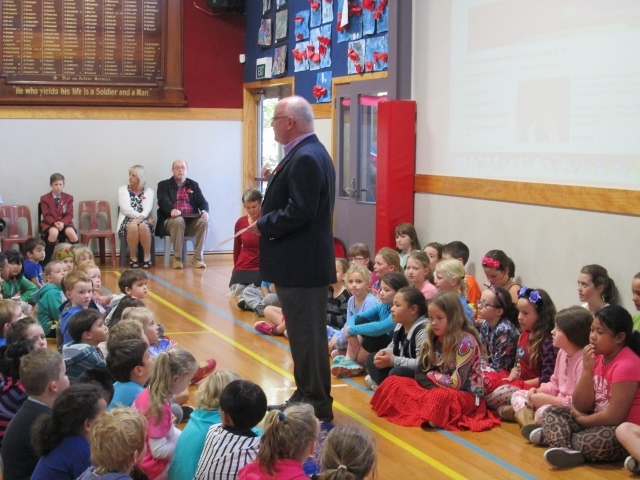 Mr McGimpsey spoke about ANZAC Day, Gallipoli, and the people who served in the Wars. 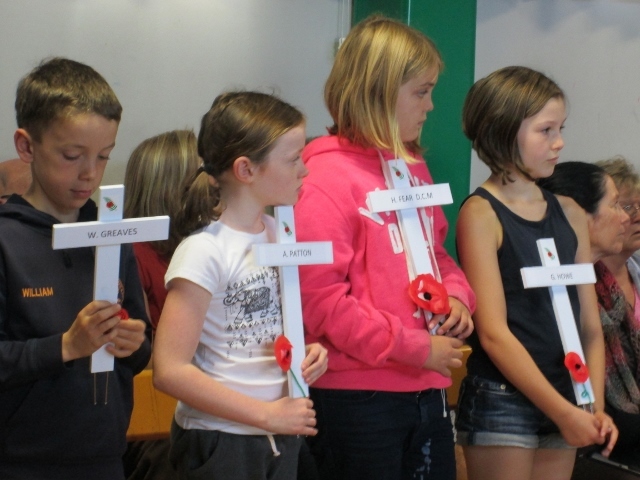 We especially remembered the 22 ex-pupils who lost their lives on active service in the War. Their names were written on white crosses. 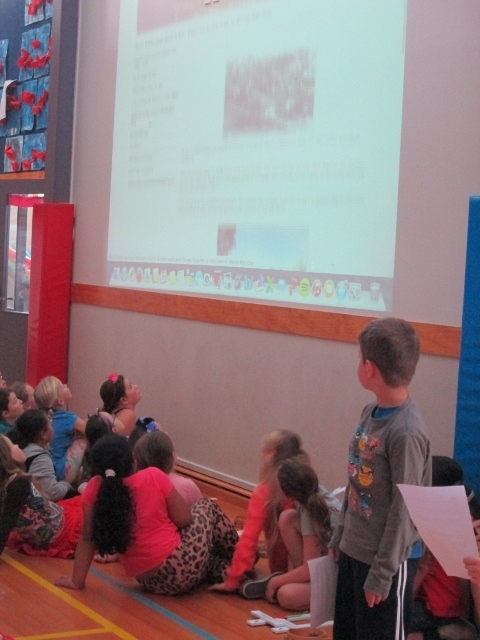 The 3 pupils who worked on the story for the Living Heritage website presented their story of an ex-pupil - Francis John Herbert (Bert) Fear who went to War. 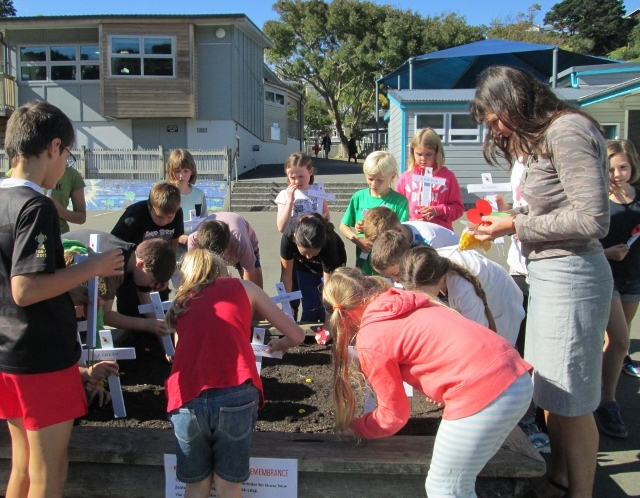 The white crosses were laid in our Field of Remembrance. 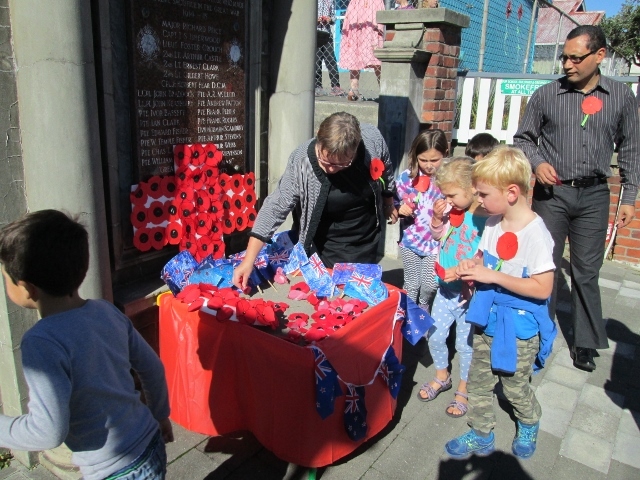 The school laid poppies and flags at the Moxham Ave Memorial Gate. 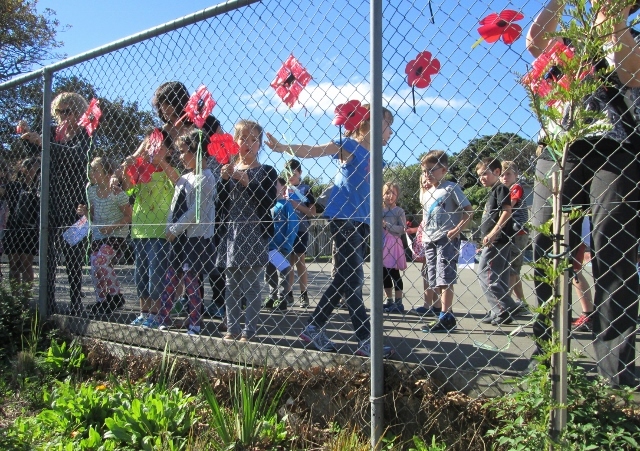 We also put poppies on our fences. 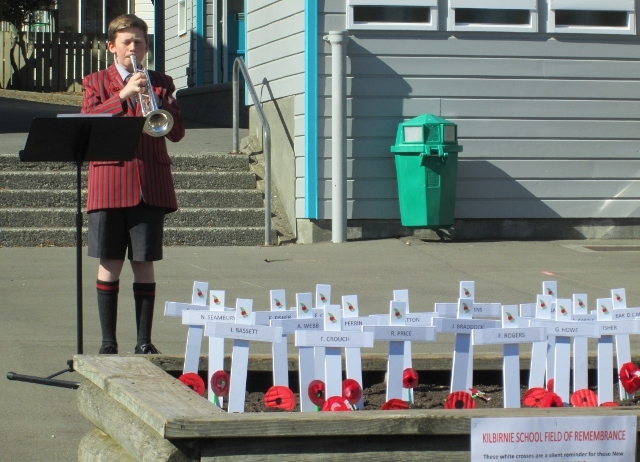 Thank you to Henry (from Scots College) who played The Last Post on his trumpet beautifully. We finished off with a minute's silence.